If you're looking for a way to completely change the look of your bathroom without investing in costly renovations, feast your eyes on the Mosaic World Toilet Seat. This beautifully crafted designer toilet seat will give new life to your space and change the entire feel of the room. 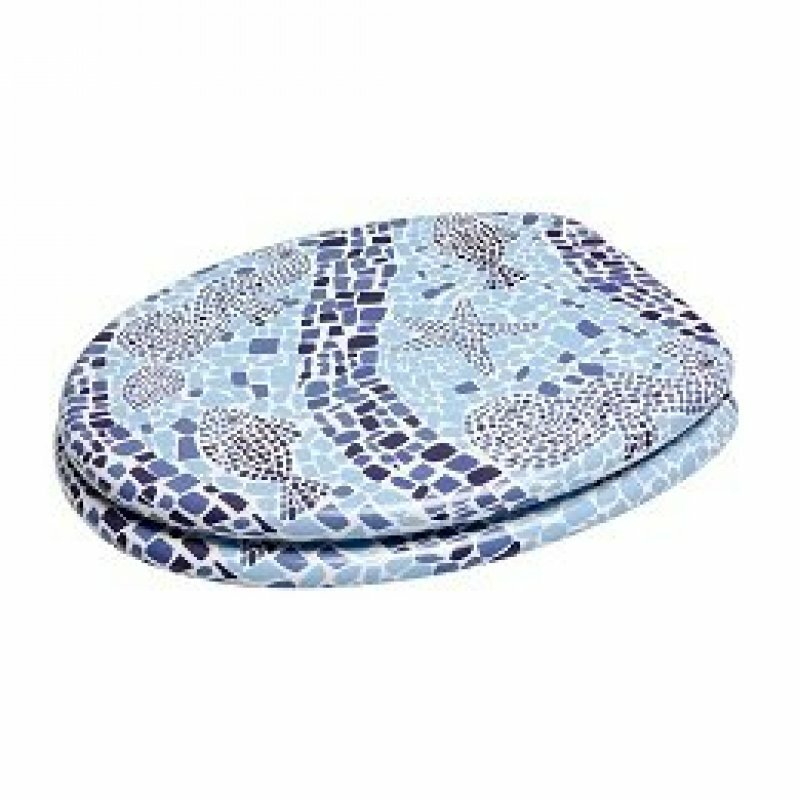 The toilet seat is designed to look as if it were made from mosaic tiles, giving it an exotic style. 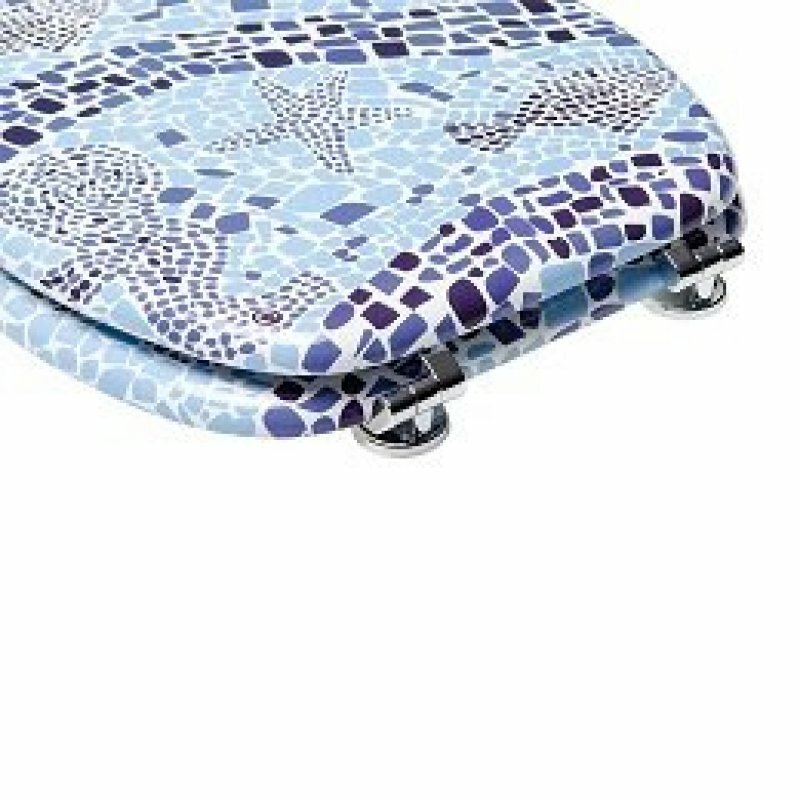 A mix of navy, cornflower, white and sky blue geometric forms come together to form images of seashells, starfish, tropical fish and seahorses along the entire lid and ring of the seat. 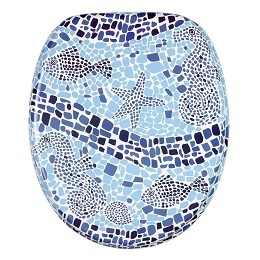 This bathroom accessory will look at home in a nautical or ocean-themed space as well as in any bathroom with a blue-based colour scheme. 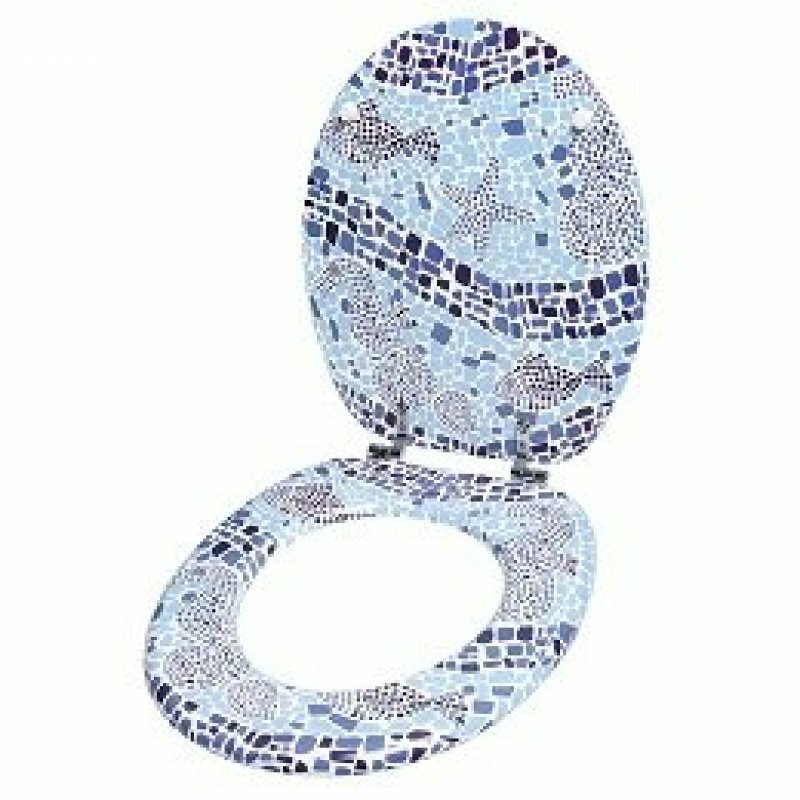 The Mosaic World Toilet Seat is fabricated out of hardwood, which has been finished with a protective antibacterial coating to protect its porous surface. 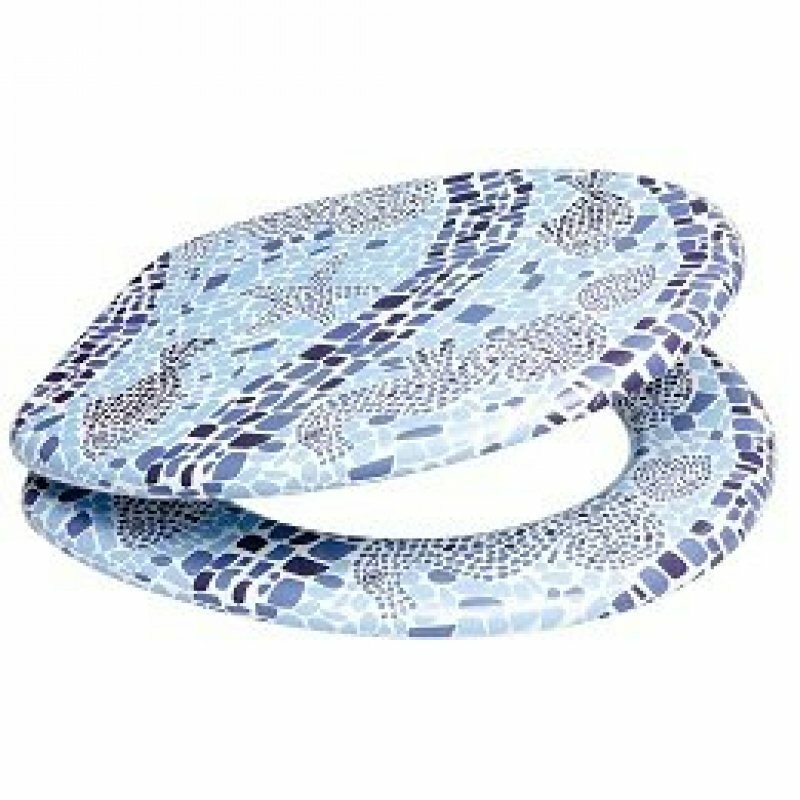 The painted finish makes the toilet seat much more durable than mosaic tile seats, yet it still has all of the appeal of those artisan-crafted designs. Measuring 465 millimetres by 375 millimetres in size, the toilet seat comes complete with rustproof stable hinges that adjust to fit most conventional toilet bowls.